Under Construction: NEW CONSTRUCTION! Gorrie Elementary-Wilson Middle-Plant High School! White cabinets, Quartz countertops and gorgeous hardwood flooring on the first floor and up the stairs! One of the best hidden gems in South Tampa. This home lives like a single family home sharing only one wall but no HOA fees! Fenced in back yard with room for a pool! Wide open great room overlooking the covered lanai bringing the outdoors in! Study on the first floor allows you to work from home or have a space to run the household! Laundry is conveniently located upstairs so that it is near the 3 bedrooms. The upstairs also has a bonus room and a balcony off of the master bedroom. 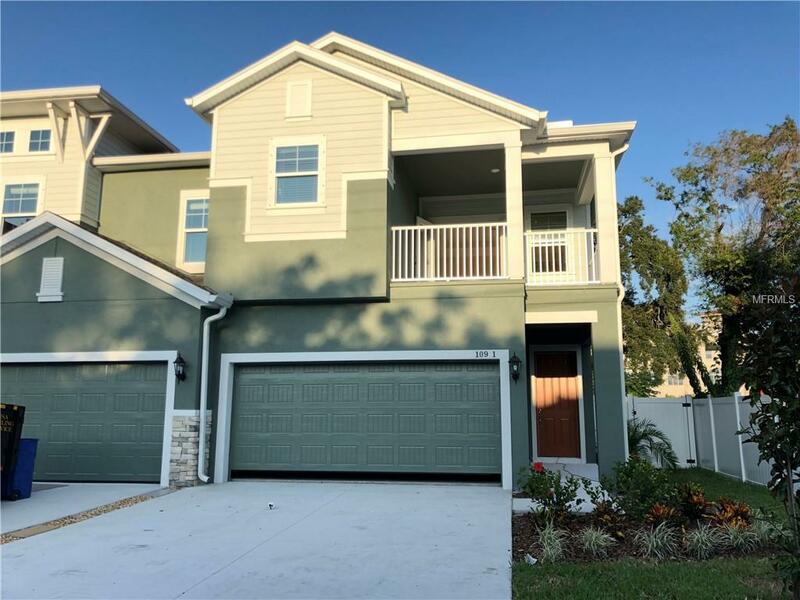 Conveniently located near University of Tampa, Downtown Tampa, the shops and restaurants of SoHo, Hyde Park Village and easy access to I -275 and the Crosstown Expressway. Must come and see! David Weekley Homes offers a 1 year warranty on all workmanship and materials, 2 years on all major mechanicals, and a 10 year structural warranty. Not only is the warranty fantastic, save money on your homeowners insurance by buying a new construction home!